In April 1992, Walt Disney Pictures premiered something that had not been seen in six years: a big-budget movie musical. The movie, Newsies , was helmed by established choreographer Kenny Ortega in his directing debut. The story loosely follows the adventures of a group of young newspaper carriers in 1899 New York City. The “newsies” stage a strike against Joseph Pulitzer and other child labor exploiters of the day. Much of the story is advanced directly through song and dance. The history of Hollywood feature-length musicals dates back to The Jazz Singer of 1927, reaching record numbers in 1929 and 1930. Musicals stayed strong through the mid-50s, before largely falling out of favor by the end of the 60s. Movies continued to include songs, dances, and even occasional musical numbers, but the idea of telling the story through song and dance had become a rarity. Rock musicals, where established musicians performed in movies focused on the performers’ music, gained some popularity from the 60s through the 80s. The 1986 Little Shop of Horrors , directed by Frank Oz and starring Rick Moranis and Ellen Greene, was a film adaptation of a successful off-Broadway musical comedy. Little Shop was a critical success, nominated for two Academy Awards and two Golden Globe Awards, including Best Motion Picture in a Comedy or Musical. Its success seemed to indicate that audiences were finally ready for Hollywood to release more musicals—musical comedies at least. Newsies was a musical historical drama, the likes of which had not been critically successful since Hair , which was released 13 years earlier. Hair ’s drama included controversial topics like marijuana, LSD, unorthodox relationships, and draft dodging. Likewise, Newsies included controversial drama that was unexpected by parents used to Disney’s squeaky-clean and wholesome image. Boys in the film are dirty, smoke cigars, bet on racehorses, lie to adults (or “improve upon the truth”) without showing remorse, swear, drink alcohol (on a dare), and hold a rally at a vaudeville hall with dancing women. A central theme of the story is rebellion, and two pivotal scenes involve boys in street fights with adults. Newsies was a box office flop. Looking at the film through present-day eyes, what these children do is mostly innocent and largely harmless. Compare it to The Hunger Games , a story in which children are forced by the government to fight and kill other children. The boys in Newsies are cleaner and more moral than Fagan’s pickpockets are in the 1968 musical drama, Oliver! In the Harry Potter series, the children battle evil human witches and wizards to the death, swear, lie, and drink “butter beer”. X-Men: First Class has far more violence against adults than Newsies and more sexual innuendo than a cheeky little vaudeville dance number. The story of the New York newsboys is an inspiring one. It is the story of downtrodden, working-class children working late into the night, earning a pitiful pay, and being taken advantage of by wealthy publishing magnates. By organizing themselves into a union and going on strike, the effected changes eventually brought about new child-welfare laws. Since the newsies were children, and since the actors in the movie were teens and young adults, it is a logical assumption that children would be a significant part of the audience. Organized labor, strikes, scabbing, corporate greed, and changing the status quo are complicated topics not easily understood by children. By turning these socioeconomic themes into musical themes and dance numbers, it made the topics much more accessible to a younger audience. Furthermore, much of the harsh reality of the plight of children in that period is glossed over by Ortega, which keeps the movie entertaining rather than horrifying to younger viewers. The movie also demonstrates the importance of family through a variety of group dynamics. There is David’s traditional nuclear family of two adults and three children. David and his younger brother, Les, sell newspapers to support their family after their father was injured and then promptly fired. The family is respectful of one another, welcoming to Jack (David’s new friend and business partner), and everyone seems to be mostly satisfied with life as long as they have one another. The family supports David, and they provide him with a safe haven from the outside world. Jack appears envious of the close relationship David has with his family. Of course, Jack has his own family—two of them in fact. Throughout most of the movie, he talks about his parents being in New Mexico looking for a place to settle down and start a family like David’s. In reality, Jack’s parents are absent, most likely dead or imprisoned, and it has been a long time since he has seen them. Jack forged a second family with his fellow newsies. The newsies share dormitory-style accommodations at a boarding house. They receive many of the same benefits that David’s family provides him. The newsies generally like and respect each other, they offer suggestions to one another, provide mutual camaraderie and sympathy, and they welcome newcomers like David. They also have one another’s backs, whether it is in a fight or avoiding the authorities. At the end of the movie, it is implied that Jack, now more of a man than a child, likely will start a new nuclear family of his own with David’s sister. The relationship between Jack and David is a complex and dynamic one rarely seen outside of romantic leads of opposite genders. The fact that this relationship exists and that nearly the entire cast consists of males who dance and sing, has resulted in the film being derisively dismissed as a thinly disguised “gay” movie. I argue that Jack and David’s relationship is nothing of the sort, but rather more like the fraternal relationship formed between soldiers in battle. At the beginning of the story, the two characters meet in a (non-romantic) meet-cute fashion. Despite a claim by David that he does not need Jack, they strike up a professional partnership. Jack, being the experienced newsie, takes a significant share of David’s profits in exchange for being able to “learn from the best” in the business. The inequality in the relationship quickly evens out as the audience gets to know the boys better. Jack is street smart, energetic, and a natural salesman. David is book smart, dependable, and full of good ideas. As unfair labor practices stir the newsies to action, Jack is the front man for the cause, firing up the other newsies into action with his enthusiasm. However, David’s brain and logic provide Jack with the words to fuel the fire. David has gumption and keeps Jack true to the cause, while Jack’s flare and sincerity keep David committed to the cause despite the risks. They balance each other, and it takes the unique abilities of each to win over Pulitzer in the end. Despite the slow start, Newsies went on to build a large and vocal fan base through its release on home video and frequent airings on the Disney Channel (Rooney, “Disney’s ‘Newsies’ Recoups”). It now holds a respectable rating of 6.9 on IMDb. The movie paved the way for later musical movies and television shows to be produced. It inspired a new generation of youth to take up singing, dancing, and acting. As a result, more fiscally successful series like High School Musical (also directed by Kenny Ortega) and Glee were created. Newsies itself was reborn as Newsies the Musical , a theatrical production currently playing on Broadway with over 840 performances (IBDb). It frequently grosses over $1 million (Rooney: Recoups, IBDb), is frequently a Broadway top ten (Rooney: Recoups), and has broken house records at the Nederlander Theatre at least seven times (Rooney: Road). It earned eight Tony Award® nominations and won two, including the 2012 Best Original Score Written for Theatre (IBDb). The score was essentially the same as it had been in the movie, with the addition of one new song and some minor modifications to allow for set changes. It also won for 2012 Best Choreography using choreography taken directly from the movie or inspired by it (IBDb). This is the same music and choreography that Jonathan Rosenbaum from the Chicago Reader originally called a “Disney musical with an undistinguished score…[and] fair to middling choreography”. 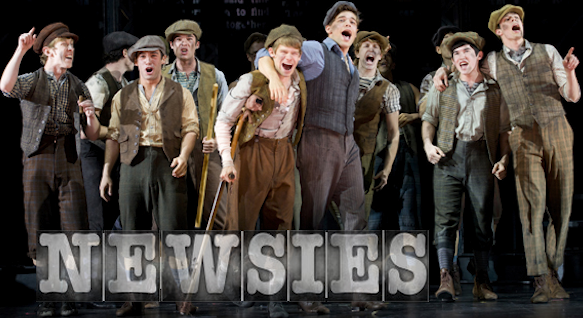 In October 2014, Newsies the Musical will begin its North American tour, performing in 25 cities over 43 weeks (Rooney, “Disney to Take ‘Newsies’”). Anything that promotes and advances the arts is a good thing in my opinion. Despite its slow start, Newsies has done so in a fun and entertaining way. From the quality of its music and choreography, to the “can-do” attitude of the story, to its demonstrations of the importance of family and friendships, Newsies has grown from an ugly duckling, to a cult favorite, into a respected and loved Broadway institution. And like a long-time fan of an underdog team that finally wins the championship, I am proud to have been a fan of Newsies from the beginning. Howe, Desson. Washington Post. n.d. Quoted at “Newsies: Critic Reviews.” Metacritic.com . Web. 5 March 2014. IBDb. “Newsies The Musical.” Internet Broadway Database . n.d. Web. 7 April 2014. IMDb. “Newsies (1992).” Internet Movie Database . n.d. Web. 5 March 2014. Rainer, Peter. Christian Science Monitor . n.d. Quoted at “ Newsies : Critic Reviews.” Metacritic.com . Web. 5 March 2014. Rooney, David. 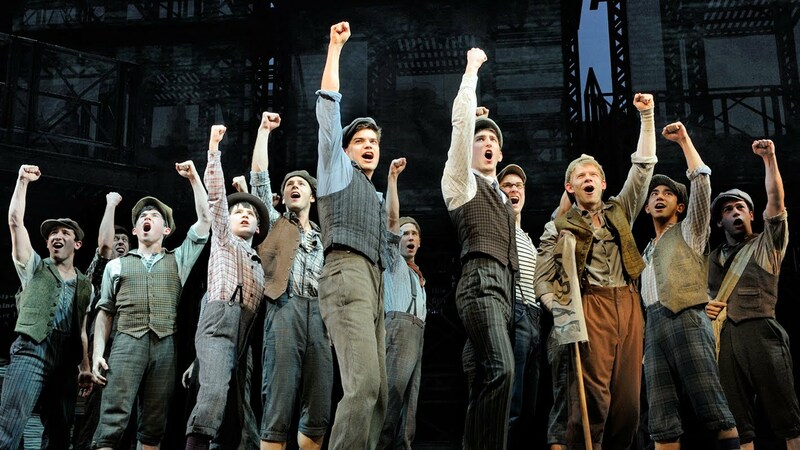 “Disney’s ‘Newsies’ Recoups in Record Time.” The Hollywood Reporter . 12 December 2012. Web. 5 March 2014. Rooney, David. “Disney to Take ‘Newsies’ on the Road.” The Hollywood Reporter . 13 November 2013. Web. 5 March 2014. Rosenbaum, Jonathan. Chicago Reader . n.d. Quoted at “ Newsies : Critic Reviews.” Metacritic.com . Web. 5 March 2014. In contemporary society, we often define ourselves in terms of our likes and dislikes, and the internet is one place where people frequently debate the relative merits of works of art, media, and culture. Many people pride themselves on that distinctive band, novel, or TV show that seems to indicate something distinctive about their identities. In this assignment, you must choose some piece of culture that you feel has been overlooked by the mainstream. Why does this art deserve more attention? What are the possible reasons why people don’t value it as much as you do? What makes those reasons invalid or unimportant? This essay assumes that there is such a thing as an objective measure of quality; you may not simply chalk these differences up to personal taste. Be sure to keep the skeptics in mind as you make your points; anticipate and head off their objections. The more you are able to frame this assignment in terms of engaging your audience, the more successful you will be. Some of you may have particular people with whom you have had some form of this argument informally; think of that person as your audience––if it’s helpful to do so. Newsies : A Movie Ahead of Its Time by Will Murray (Willscrlt) is licensed under a Creative Commons Attribution-ShareAlike 4.0 International License. Gallery images were found through an online search and are used under a fair-use rationale. I have noted the original sources and/or photographers when I could determine them. Please contact me with proof of claim and image title if you are the copyright holder and would like me to remove an image.